“Come on Dad! Let’s get moving!” Hank implores as we make our way up the stairs leading to Lafayette College. 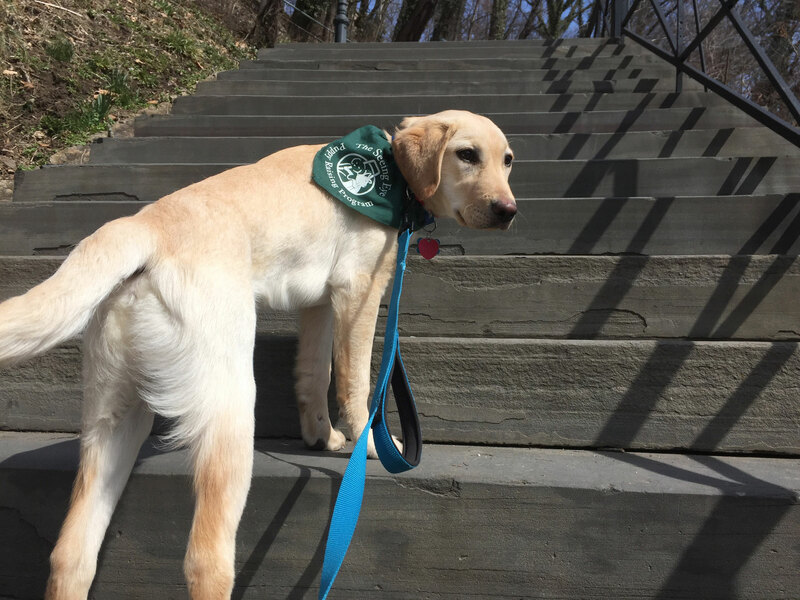 Hank is a Seeing Eye puppy in training. Credit: Ken Newquist.